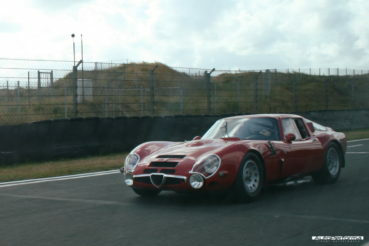 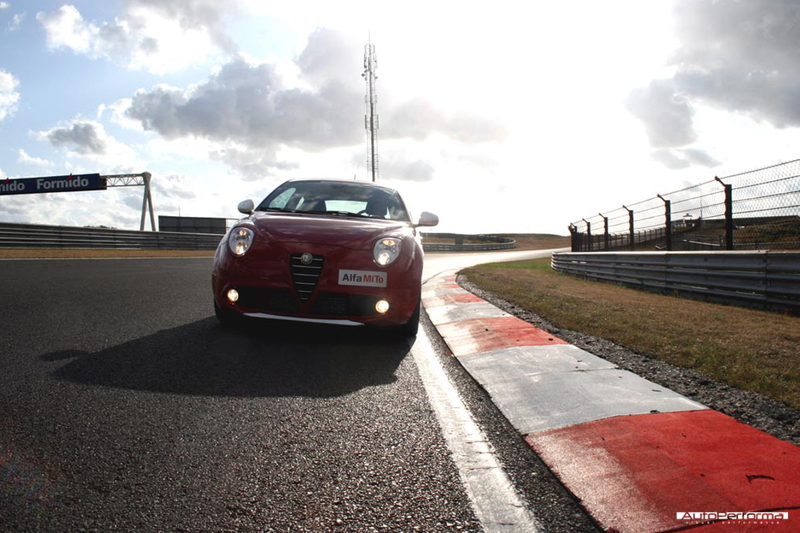 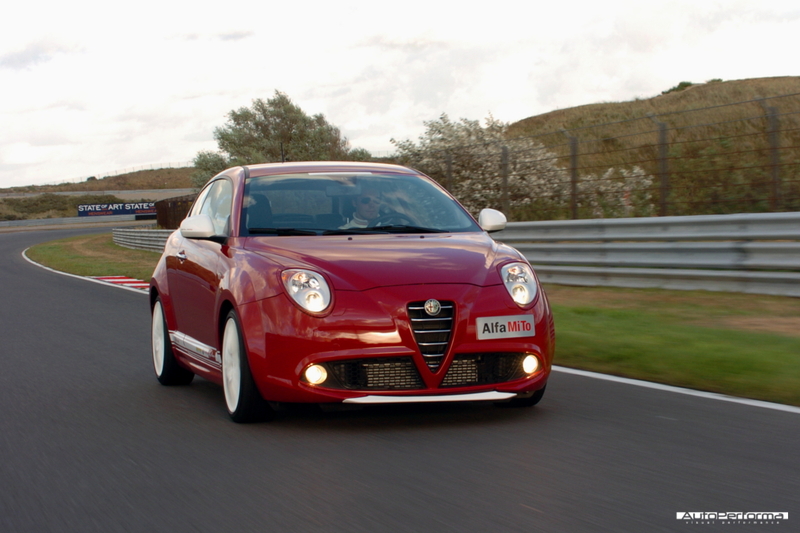 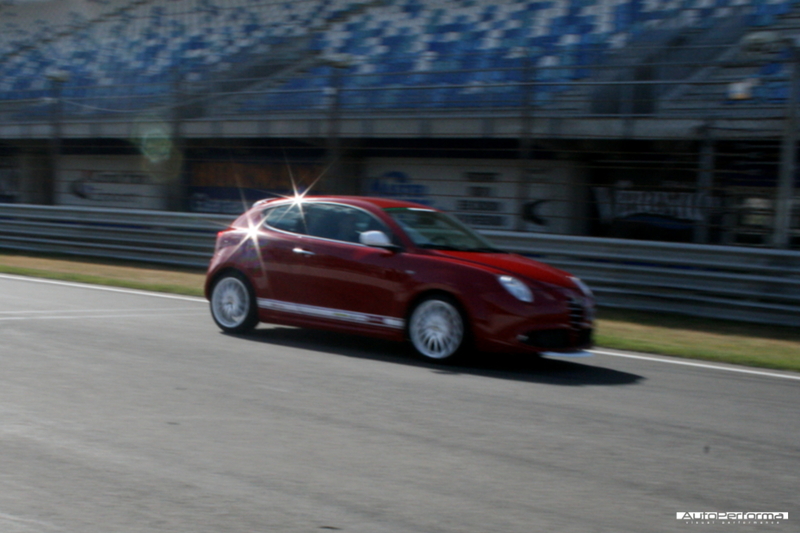 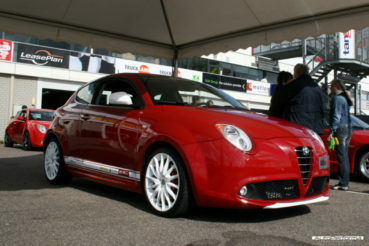 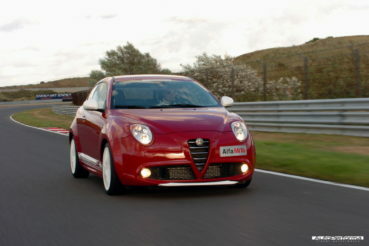 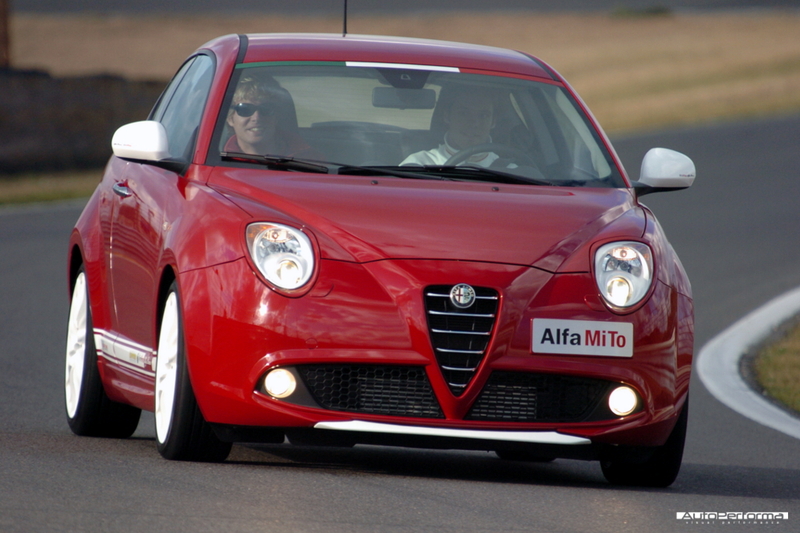 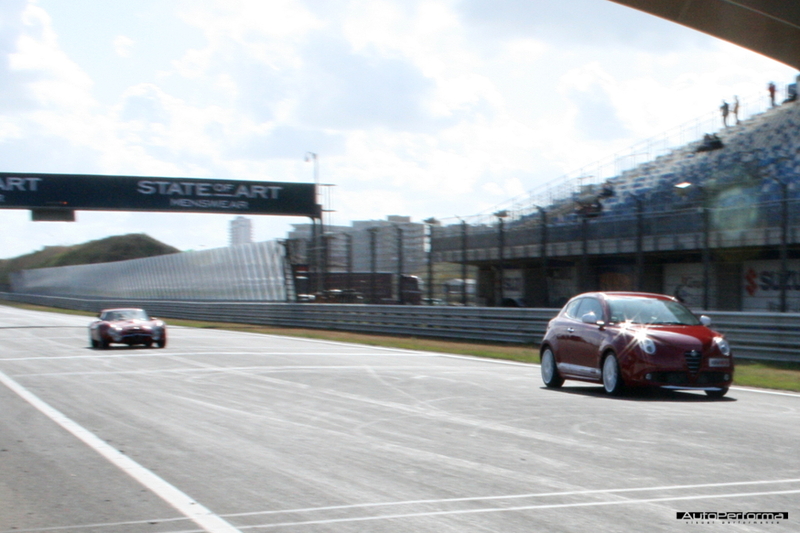 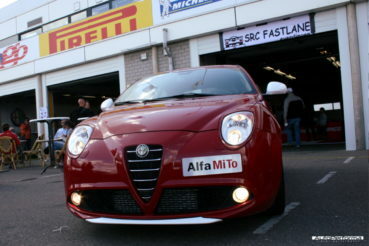 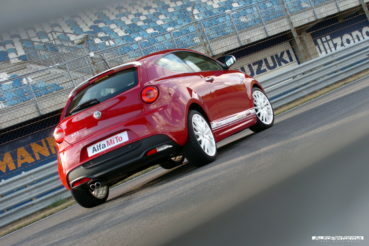 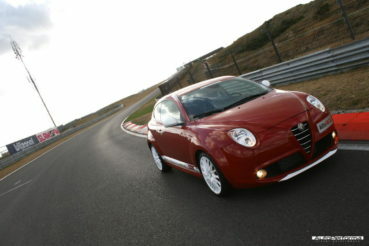 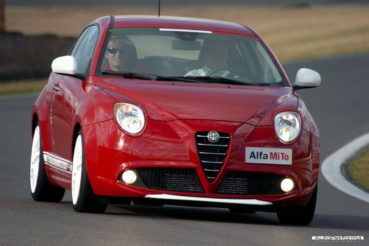 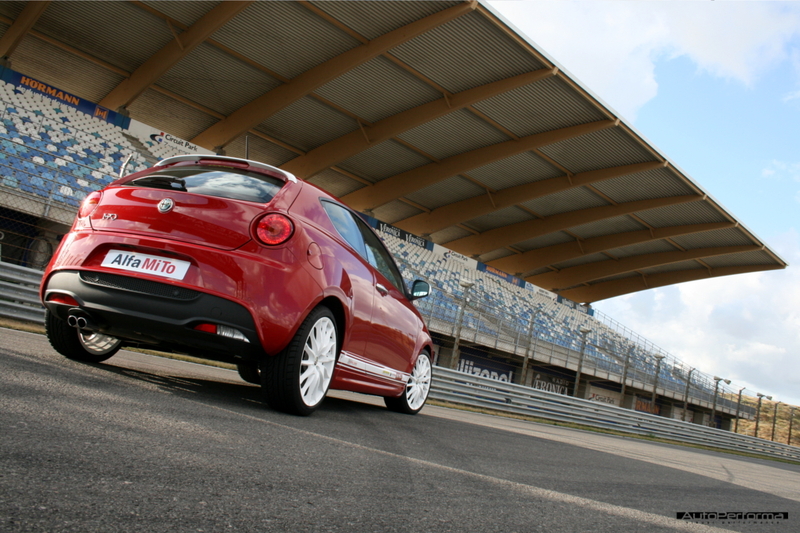 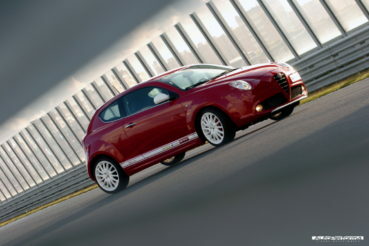 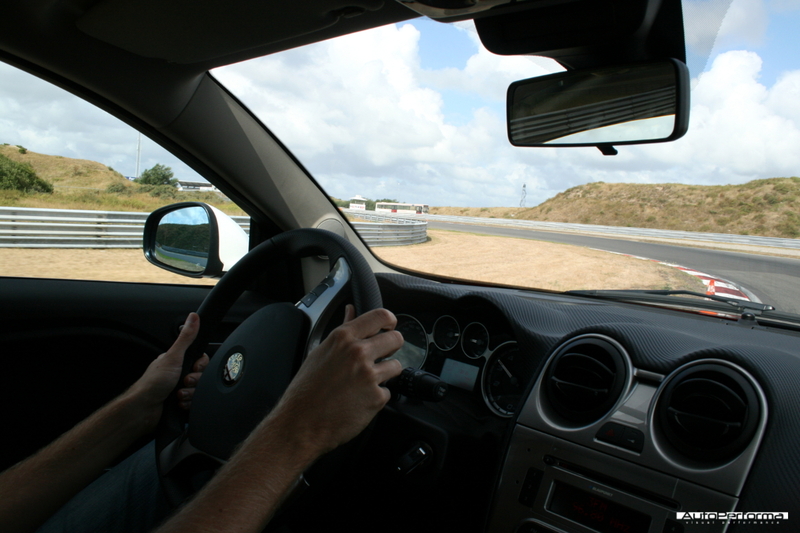 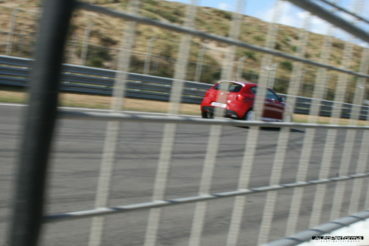 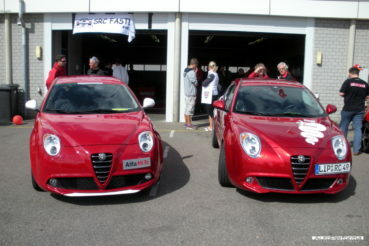 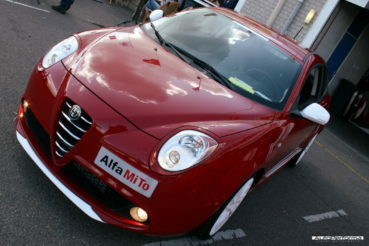 After making its static debut at the AutoRai in Amsterdam it was now time test drive the MiTo Trofeo on the track. 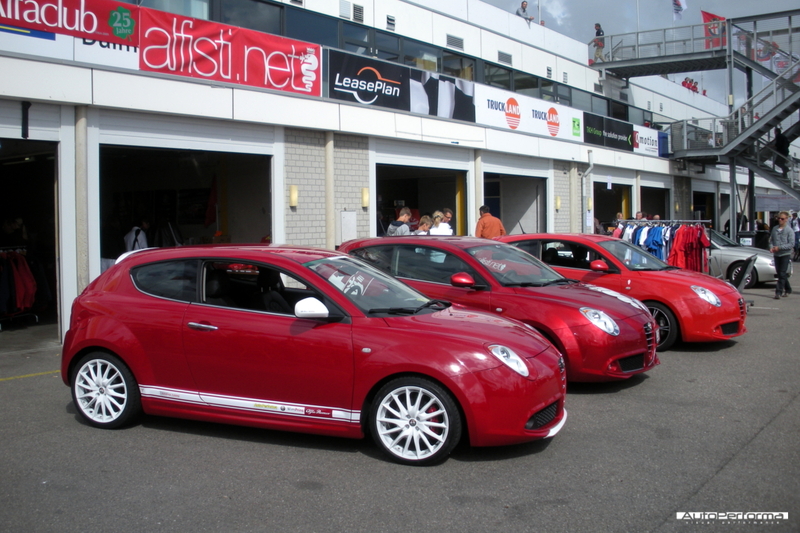 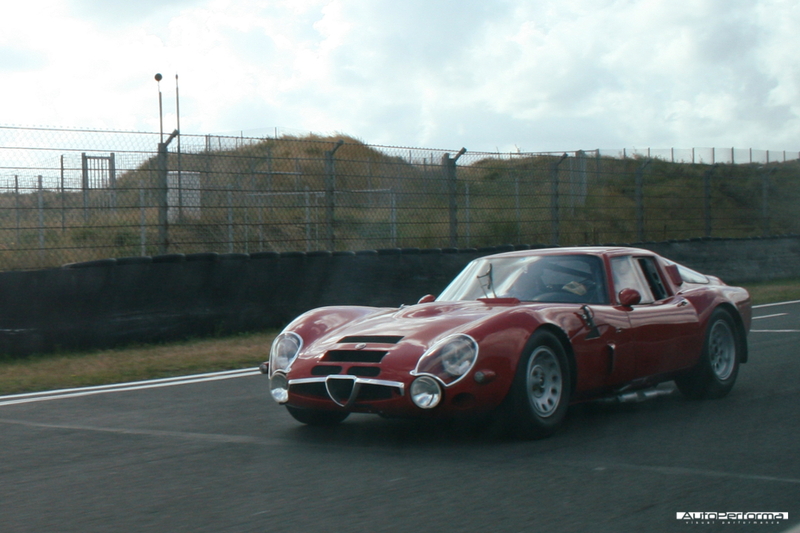 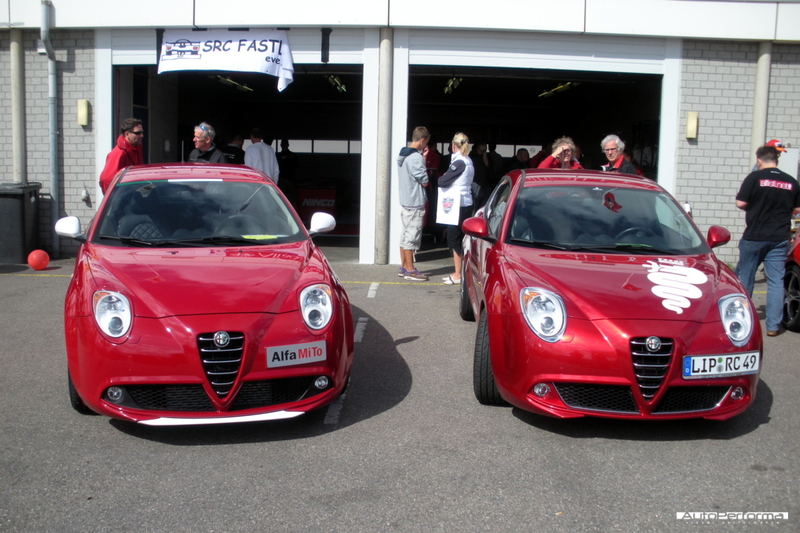 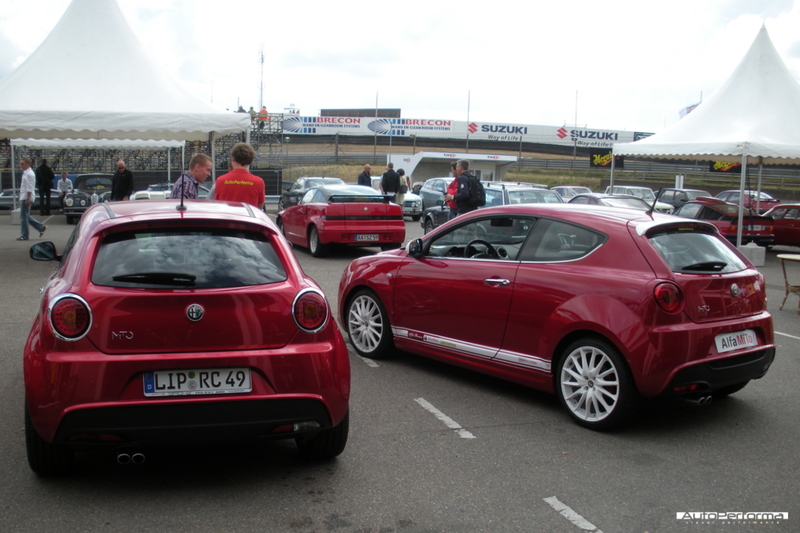 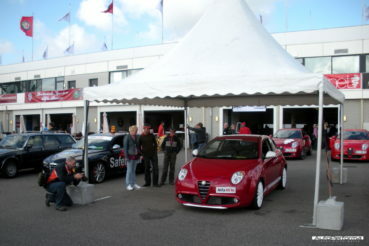 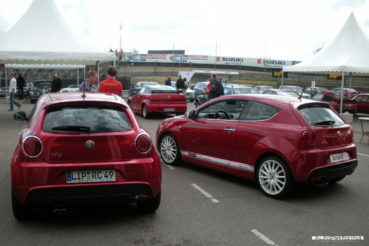 So we took our demo to the Spettacolo Sportivo organised by the Dutch Alfa Romeo Owners Club SCARB on the lovely racetrack of Zandvoort. 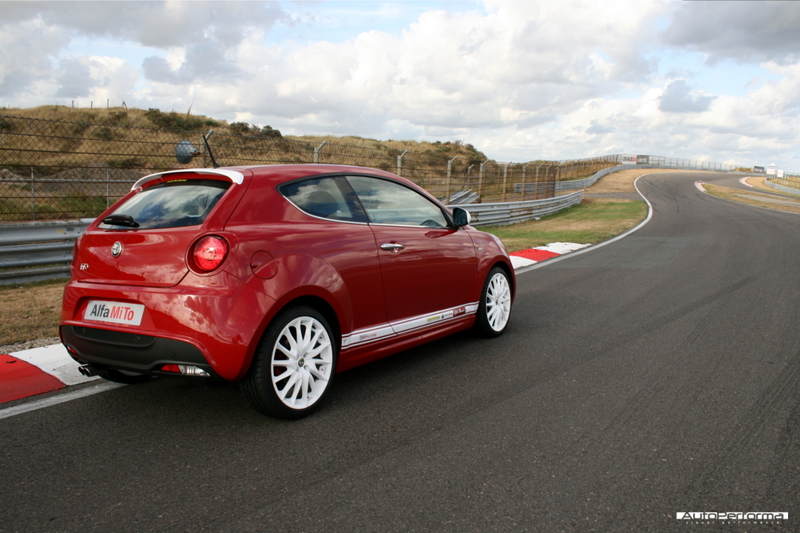 Our MiTo (1.4 16v T-jet 155 hp) had been given a little tune-up in the meantime by Squadra Tuning, resulting in a healthy 170 hp, less turbo-lag and therefore much more torque at lower revs. Exactly what we need on a track that ascents, descents and sweeps through the dunes of Zandvoort. 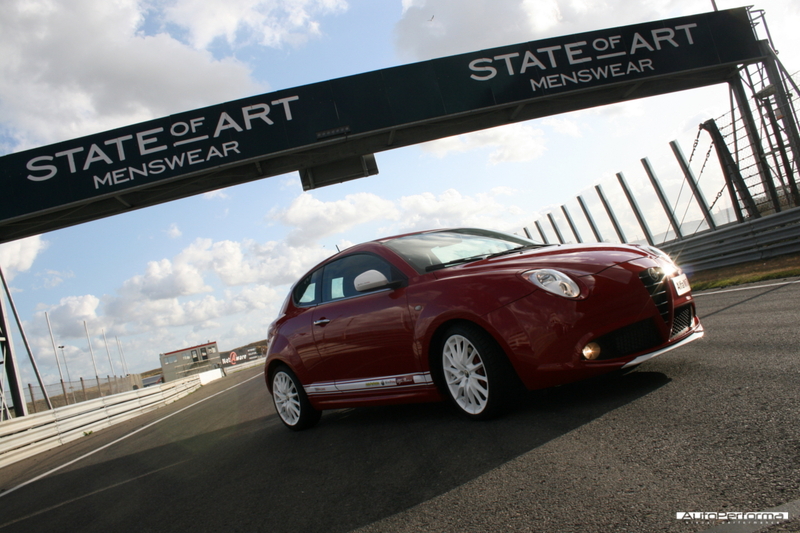 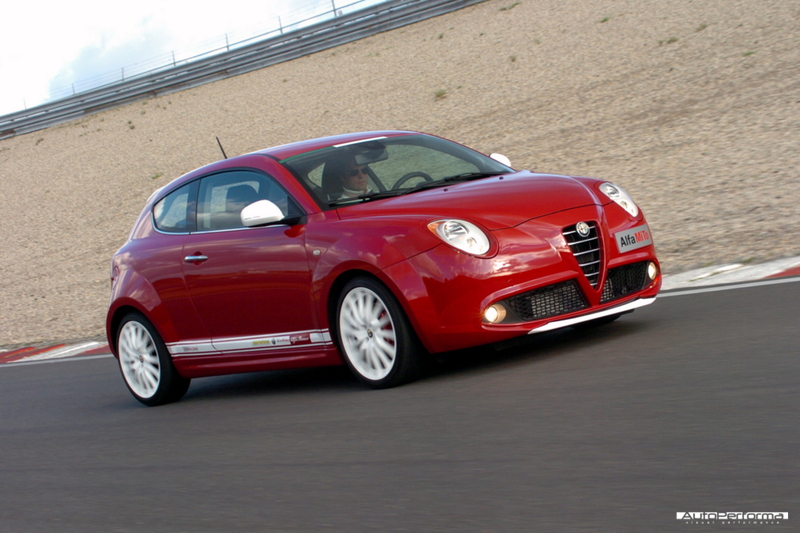 As a result the MiTo fitted in nicely amongst some legendary Alfa Romeo race cars and handled very well on the track, we even managed to pass a TZ2 on the straight This is what we mean by visual performance! 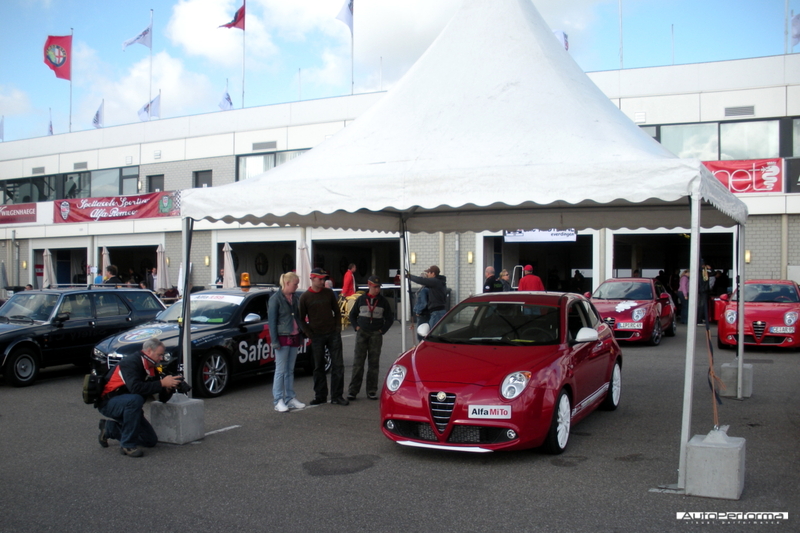 Many thanks to the SCARB for letting us take part in this great event, Alfa Romeo dealer Wim Prins for lending us the demo and MDW Graphics for the foto shoot on the track!